Posted by Richard Foote in 12c, Exadata, Oracle Indexes, Zone Maps. In Part I, I discussed how Zone Maps are new index like structures, similar to Exadata Storage Indexes, that enables the “pruning” of disk blocks during accesses of the table by storing the min and max values of selected columns for each “zone” of a table. A Zone being a range of contiguous (8M) blocks. I showed how a Zone Map was relatively tiny but very effective in reducing the number of consistent gets for a well clustered column (ALBUM_ID). In this post, we’re going to continue with the demo and look at what happens when we update data in the table with a Zone Map in place. We notice the maximum is still defined as being 100. So the update on the table has not actually updated the contents of the Zone Map. So this is a big difference between Zone Maps and conventional indexes, indexes are automatically updated during DML operations, Zone Maps are not (unless the REFRESH ON COMMIT option is specified). We notice that one of the entries has a status of 1, meaning that a specific zone has been marked as stale. However, all the other zones are still OK.
We notice that the Zone Map is still “hunky dory” after the update. We see the Zone Map was still used by the CBO. The number of consistent gets has increased (up from 2364 to 3238) as we now have to additional access all the blocks associated with this stale zone, but it’s still more efficient that reading all the blocks from the entire table. We see that the entry is no longer stale and now correctly reflects the actual maximum value within the zone (142). We notice nothing has appreciably changed, the Zone Map is still being used but the number of consistent gets remains the same as before. Why haven’t we returned back to our previous 2364 consistent gets ? Well, as the range of possible values within the updated zone is now between 1 and 142, the required value of 42 could potentially be found within this zone and so still needs to be accessed just in case. We know that the value of 42 doesn’t exist within this zone, but Oracle has no way of knowing this based on the possible 1 to 142 range. Hence Zone Maps work best when the data is well clustered and the Min/Max ranges of each zone can be used to limit which zones need to be accessed. If the data was not well clustered and the values within each zone mostly had ranges between the min and max values, then Oracle wouldn’t be able to effectively prune many/any zone and the Zone Map would be useless. As Exadata Storage Indexes (SI) are purely memory only structures located on the Exadata storage servers, care needs to be taken in how much memory they can potentially consume. 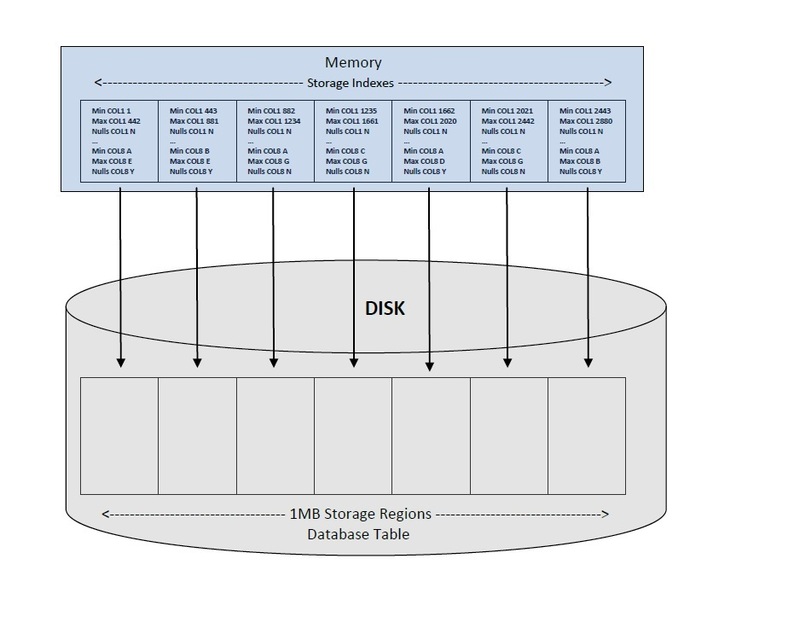 As a result, there is a limit of 8 columns (or 8 SIs) that can be defined for a given 1M storage region at any point in time, even though SIs are much smaller structures than equivalent database indexes. As database indexes are physical constructs however, there’s no such limit on the number of indexes that can be defined for a table. This can become another key difference between SIs and database indexes. If we look at the session statistics, we’ll notice that a SI has been created and saved us physical IOs. Note: If you follow the demo, you’ll need to keep track of these statistics after each query or simply reconnect as a new session to ensure a SI has or has not been used. Again, a SI has been created and used here. The SI in this case has been extremely beneficial because no data exists for 42 (only the values 1 – 10 exist). However, if an existing value were to be selected, the SI would be next to useless as such a value would exist throughout all 1M storage regions. With just 10 distinct randomly distributed values, this SI has the potential to be a waste of time. But while we search for values that don’t exist, it serves a very useful purpose. An important consideration in what’s to come. OK, this is the really important one to note. Firstly, yes again a SI has been created and used. Note though that this has not been the first SI to be created or used on this table; SIs have previously been created and used in the previous two queries on different columns. This will also not be the most recent SI to be created, more will soon follow. However, this is by far the least effective use of a SI, because of both the selectivity of the query and distribution of data. Here, only some 66MB or so of physical IOs have been saved. OK, we’ve now reached the point where 8 SIs have definitely been created on this table. We notice that no bytes have been saved here via a SI. We can run this query repeatedly and the results will be the same. No SI is created and no bytes are saved. Although Oracle could potentially create a SI and save some work, the fact we already have 8 SIs created for this table means we have already reached the limit on the number of SIs that can be created for this table. 8 is it. This time however the number of bytes saved has again gone up from previously meaning that indeed a new SI has been created and used for column COL12. But this makes 9 SIs in total now for this table where the limit should be a maximum of 8 ? Does this mean that a previously created SI has been dropped and replaced by this new one. If so, which SI is now gone ? We notice that not only has it used a SI, but it has saved the maximum amount of IO bytes possible here meaning there was no “warming up” processes happening here indicating a newly created SI. So not only did it use a SI, it clearly used a previously created one. So this SI was not obviously impacted by the creation of this “9th” SI. cell physical IO bytes saved by storage index 10726.9844 No Change !! This time we notice there’s no change to the number of bytes saved by a SI. No matter how often we run this query now, no SI is used. So the SI that was created previously is now gone as a result of creating the more effective SI on the COL12 column. Indeed there are still just the 8 SIs on this table. So Oracle will indeed limit the number of SIs to 8 for each table/storage region. However, it’s not simply a case of “first in first served” or some such, with Oracle using (undocumented) performance metrics to determine which 8 SIs/columns to choose. This means it might be possible in some rarer scenarios where more than 8 columns get referenced in SQL statements for SIs to come and go depending on changing workloads. 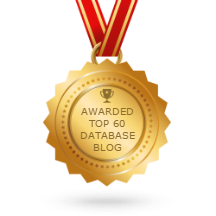 Another example of where database indexes may yet play a role in Exadata environments, where currently tables have more than 8+ indexed columns. Posted by Richard Foote in Advert, Exadata, Oracle Indexes. 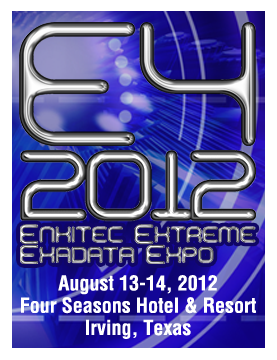 I’m very pleased to have been invited to speak at the E4 2012 Enkitec Exadata Expo to be held in Dallas, USA on 13-14 August. It’s basically the first ever conference that’s dedicated exclusively to Oracle’s exciting Exadata platform. It should be a fabulous event, featuring some of the best Oracle talent going around, including Jonathan Lewis, Tanel Poder, Kerry Osbourne, Cary Millsap, Arup Nanda, Fritz Hoogland, Doug Burns, Karen Morton, Maria Colgan and Peter Bach to name but a few. The full list of speakers is listed here. I’ve had the opportunity to research and have a good play with Exadata since re-joining the Oracle mothership so I’m looking forward to sharing some of what I’ve learnt. Hopefully, you can make this historic event. If not in person, you might still be able to attend the event in a virtual capacity. I’m hoping to confirm my attendance at another conference in the very near future. More details soon.